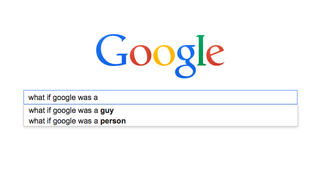 College Humor wonders, "What if Google was a guy?" And by that, it means, an actual person who took your queries, rooted through a filing cabinet, and handed you what you were looking for. It'd mean that guy would have to put up with a lot of this, probably.